Fly is the story about a little clown, Little, who is afraid of everything. In spite of this, Little has one major dream in life: Learn how to fly! With music, shadow theatre and a lot of magic we defy gravity and take the kids into a landscape where everything is possible. Fly is all about trying, failing, and trying again. 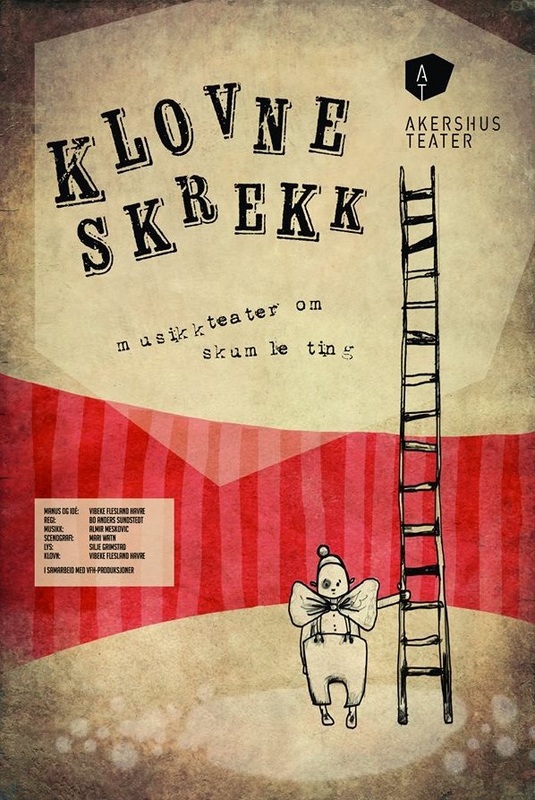 The performance is built up around clowning, music and trapeze. There is no spoken language in the performance, apart from one word: FLY! ‪Children’s logic is the basis for the performance. Moreover, Vibeke Flesland Havre has studied children's expressions and movement patterns, and built the clown character on this basis. Inspired by silent films from the 1920s, she has developed a scenic language based on gestures, sounds and facial expressions. Fly want to communicate in a more direct and intuitive way than the spoken language allows. The perforamnce is therefore without words, instead focusing on physical language and music. ‪Vibeke Flesland Havre is committed to creating a comprehensive auditory and visual universe, to give children an artistic experience that also appeal to those who have not yet developed language. The show has several levels, and is also suitable for the older children who can recognize themselves in Lille’s emotions. Fly is creating a magical landscape, opening the children’s senses and stimulate their imagination. 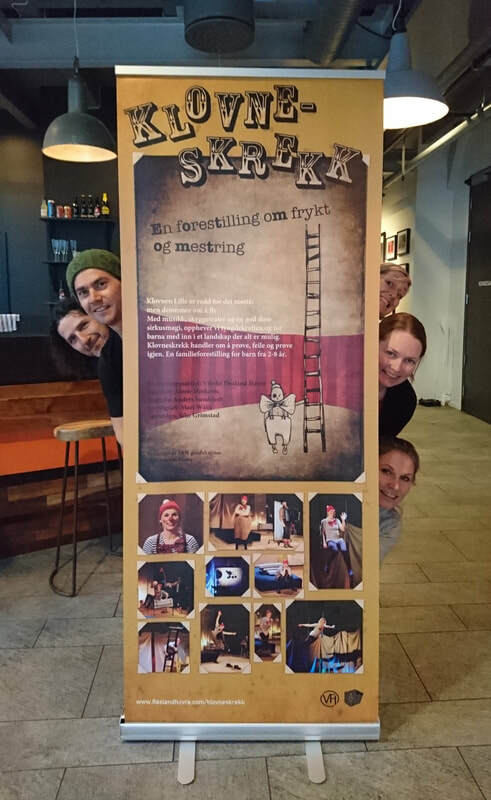 ‪The performance is produced by Akershus Teater in collaboration with VFH productions. "You rarely see such a simple, accomplished and magical family performance as Fly. The good thing was that the music both gave birth to the dreams and pushed Lille a few steps forward. Movements became prolonged in wild accordion tones, from French and Eastern European moods to "Flight of the Bumblebee". And shadow theater merged with circus art. Soon scary sounds and heights were forgotten. 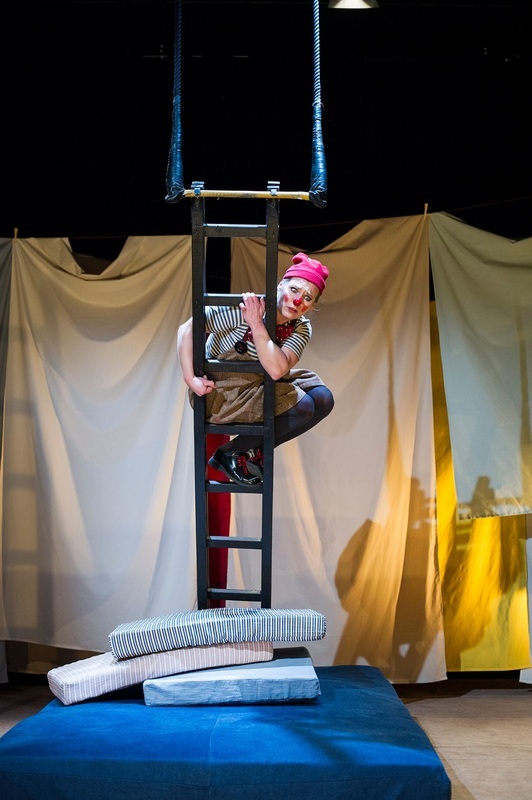 Vibeke Flesland Havre provided a fantastic clown finale in the trapeze, both up and down in the air. In the moment, new dreams came to life"